Liebherr fridges are designed to keep your food fresh for longer. Each Liebherr Fridge in our collection is compact yet has an impressive amount of storage space inside. Liebherr Fridges are efficient too, so they won’t have a huge impact on the environment like some older fridges can. If you like to get your shopping done in one go, having a decent sized fridge is essential, and when you don’t have room for a huge upright model, a Liebherr Fridge is the next best thing. One of the most noticeable things with a Liebherr Fridge is how quiet they are, which really helps if you like to hang out in the kitchen. 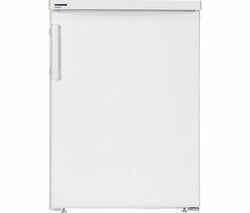 Liebherr Fridges are stylish and come in a clean white finish. The smaller models will fit under a counter so they won’t ruin your carefully designed kitchen or get in the way if your kitchen isn’t huge. The larger versions also have plenty of room for all your food after a big shop. If you don’t see a Liebherr Fridge that takes your fancy, check out our range of Beko fridges and you’ll find an affordable fridge that’s perfect for your kitchen. If you have a fitted kitchen, take a look at our integrated fridges. 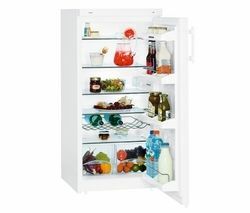 If you have a small family or you don’t have room for a larger fridge, a Liebherr Fridge is ideal.